Allah subhanahu wa ta`ala (exalted is He) is al-Ḥakam. The root of this word is the three-letter root ḥ-k-m (م – ك – ح), which also gives rise to His name al-Ḥakeem. The root means ‘to prevent’ or ‘to restrain’ (المنع), and it is linked to preventing oppression; ḥikma (wisdom) also means ‘the prevention of ignorance’ (maqayis al-lugha). Ḥukm is not only knowledge, but understanding and execution of that knowledge; it can therefore mean ‘decree’ or ‘judgment’. In Arabic, the referee in a sports match is called a ḥakam, and aḥākim is a ruler. Thus, Allah’s (swt) Name al-Ḥakam means that He is the ultimate arbitrator and judge, Whose rulings no one can overturn, as al-Ghazali points out. One of the basic tenets of our faith is belief in “qadar (predestination), both in its good and in its evil aspects” (hadith reported by Muslim). But what does qadar mean and how do we balance it with planning and action? The truth is that we do not know Allah’s (swt) decree – those things that cannot be overturned – and we will not be asked about His decree. We will be asked about our responsibilities. Allah (swt) teaches us this through the example of the Prophet ﷺ. The Quraysh tribe was plotting to assassinate the Prophet ﷺ so he planned with `Ali and Abu Bakr radi Allahu `anhumaa (may God be pleased with them both). `Ali (ra) would take the Prophet’s ﷺ place in his bed to buy time, while the Prophet ﷺ escaped with Abu Bakr (ra). In the end, it was Allah’s (swt) plan that won; indeed, it is always His plan that wins: the Prophet ﷺ escaped safely to Medina. We forget that the point of Islam is submission to Allah. Part of submission is working with the means – because we have been commanded to do so and given certain means – as well as understanding that He ultimately decides what He allows to pass. We make the mistake of seeing planning and relying on Allah as opposites, whereas they are complementary when viewed under the umbrella of submission to Him. Sometimes, Allah (swt) shows us the larger picture through the everyday and the mundane. We all have days in which things seem to be going according to plan, yet somehow they get messed up. You might leave the house early enough to get to work, then remember that you forgot something important and have to go back. You might then get into your car and find that traffic is terrible, or get on the train and find that there are delays. Throughout it all, you are annoyed, wondering why this is happening to you—especially since you put effort into being on time—and wondering what you could have done differently. Yet somehow, you find that you make it just in time; or maybe you do end up being late, but your boss is too, so everything is fine. Or perhaps you are late, and you are reprimanded by your boss. Delays and detours are an inevitable part of life, both literally and metaphorically. Many times, our planning ahead helps us, but there may be times when it does not. Yet Allah (swt) shows you that He will always get you where you need to be, thought it may not be where you want to be at that time. It may not happen how you envisaged it, but there is always a lesson to be learned from the Most Wise. Focus on what you can control, and leave what you cannot. Allah (swt) has put upon us certain responsibilities. We are commanded to commit to the pillars of Islam: testimony of faith, prayer, fasting in Ramadan, zakat (almsgiving) and Hajj (pilgrimage). We must strive to perfect our character, work for justice and remove oppression; we are commanded to invite people to the beauty of our religion and to seek knowledge—all in submission to the Most High. Part of believing in Allah as al-Ḥakam is to know that these rulings came from the Most Wise and the Most Just, committing to them to the best of our ability even when we do not understand them or when we feel down. It is easy to say ‘I am not feeling my prayer’ and succumb to the urge not to pray; it is easy to think, ‘I am in love with someone, but we can’t get married right now. Why should we deny ourselves things when are in love?’; yet we must strive to uphold His rulings. Of course, this does not mean that we do not seek to understand Allah’s (swt) rulings, nor am I speaking about matters in which there is a considerable difference of opinion and there is more than one possible ruling to take. Rather, I am speaking here about the established responsibilities Allah (swt) has decreed upon us. Our duty is to work to the best of our ability, utilizing the means around us and ultimately having trust in Allah (swt). Sometimes this will require us to pursue something and never give up, and sometimes it will require us to take a different route. How do we know which is the ‘correct’ way? Sometimes there is no way to know, and there is no point in beating yourself up about what you assume ‘could have’ or ‘would have’ been. Allah (swt) will not ask us about the unseen world, which only He knows. We judge things according to our limited ability, do the best we can, and ultimately leave the outcome to Allah (swt). And sometimes Allah addresses this mentality in the things that happen to us. I recently signed up for something that I thought would be beneficial. When I weighed the pros and cons, what pushed me to sign up was the thought: ‘What if I regret not doing it?’ The experience turned out to be terrible. However, had I not signed up, I would have assumed that I would have benefited, and regretted my decision! This does not mean that our actions have no effect. Allah (swt) wills that that our actions, or inactions, have a certain consequence. So, deciding not to study for an exam because ‘Allah’s decree will pass’ will most likely cause us to fail. Allah (swt) has created certain laws in this universe which link causes and effects. If we find that we were in fact lacking in effort or lacking in our actions, we must take those lessons and apply them to future experiences, but not regret the past. Knowing that Allah (swt) isal-Ḥakam is to know that His decree cannot be overturned. In a famous story, when the great companion and nephew of the Prophet ﷺ, `Ali ibn Abi Talib, was the Caliph, a non-Muslim man stole `Ali’s armor. `Ali took the matter to Shurayh, the judge. As the non-Muslim man had the armor in his hands, the burden of proof was on `Ali; Shurayh asked `Ali if he had a witness to the theft, but `Ali only had his son al-Husayn. Shurayh therefore ruled in favor of the non-Muslim, because a son cannot be a witness in favor of his father. The Prophet ﷺ also taught us that our state matters when we are making a judgment: ‘A judge should not judge between two persons while he is in an angry mood,’ (Bukhari). He reminds us that emotions influence our judgments. Finally, we should ask: how would we like Allah (swt) to judge us? The mercy and understanding that we hope from Allah (swt) is what we should give to other people when making a judgment. Next halaqa topic in sha Allah: Ihsaan. and one day in sha Allah, we will have Khatam Quran and begin again. Sisters Sara gave a very informative talk about Allah’s name: Al Hakam. To read her summary, click here. Sister Sana researched the term Bidah and discussed with us the meaning and examples of Bidah. To read her summary, click here. In sha Allah, our next Halaqa will be held on Thursday November 5th, 2015 indoors at our Headquarters upstairs from 10am-12 noon. We will be adding this website to our list of resources insha Allah. An inspiring video about why Muslims should be voting! Following the video, sisters participated in a lively discussion with various viewpoints. Also, we remembered an article from an earlier Halaqa (#14) An interview with Jamal Badawi on Muslim participation in North American politics conducted by RadioIslam.com Click on the title to read a transcript. The 99 Names of Allah We read this article discussing Allah’s swt beautiful names. 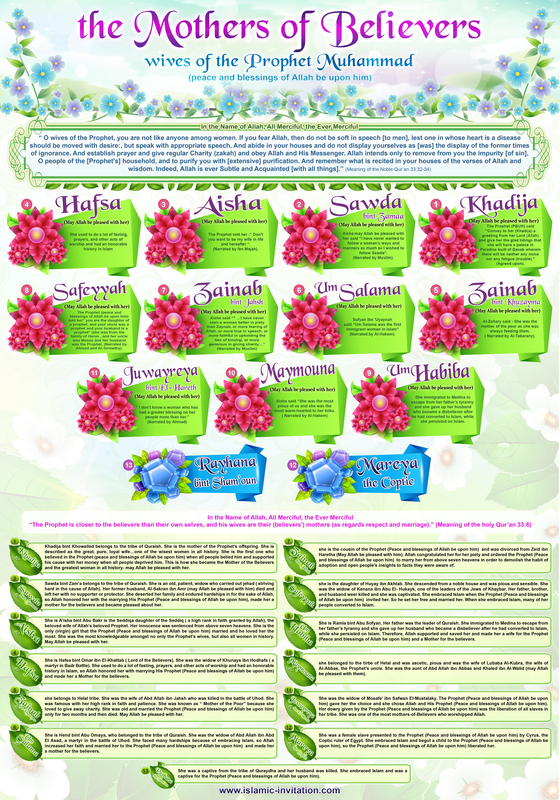 our Asma ul Husna resources. O Allah, let the crescent loom above us in peace and faith, safety and Islam, and in agreement with all that You love and pleases You. Our Lord and your Lord is Allah. As for celebrating the new Hijri year, it is not reported from the Prophet, sallallaahu alayhi wa sallam, that he ever celebrated his Hijrah (migration to Madeenah); neither is this reported from his companions, may Allaah be pleased with them, who undoubtedly were keen on enjoining the good and getting the most reward possible. The Muslim should follow the Prophet, sallallaahu alayhi wa sallam, and stick to his Sunnah and keep away from innovations in religion. In sha Allah, our next Halaqa will be held on Thursday October 15st, 2015 indoors at our Headquarters upstairs from 10am-12 noon. Mothers of Believers, Sister Winnie came across a online poster about the wives of our beloved Prophet. We reviewed the poster together. Due to poor acoustics, we were unable to watch the video. We did however, plan to watch it individually at home.